The Human Resource Development (HRD) Ministry plans to set up a Central Madrassa Board on the lines of the Central Board of Secondary Education (CBSE), HRD Minister Arjun Singh said on Tuesday. This would help modernise the education imparted by the Islamic seminaries across the country, the minister said. "There has been a long pending demand to set up Central Madrassa Board on lines of the CBSE. We are considering it. A bill in this regard will be introduced in the next session of Parliament," he said. The Human Resource Development (HRD) Ministry is ready to grant مدرسة‎/madrassah certificates, equivalent to those issued by the Central Board of Secondary Education (CBSE). This recommendation was made by the Justice Rajinder Sachar Committee, which was appointed by the ministry to review the status of minorities. These suggestions also find mention in the Prime Minister's 15-point programme for minorities. As per the recommendation, students can also approach Madrassah Boards of other states to get their certificates have recognition equivalent to a CBSE certificate, if the states they are domiciled in do not have their own Madrassah Boards. A committee appointed in 2007 had proposed to recognise عالم/Alim (Muslim theologian) degrees offered by madrassahs for admissions into the BA course. فاضل/fAzil (Honours) degrees were also proposed to be recognised for admissions to postgraduate programmmes. Even though 350,000 madrassah students will be benefited from this decision, this move by the government appears to be political rather than an academic enterprise. Madrassahs are centres of Islamic learning. Although some madrassahs teach secular subjects like logic, language (Arabic through the medium of Urdu), Islamic history, calligraphy, geography, etc, in general they have a religion-based curriculum, focusing on the Qur’an and other Islamic texts. They do not train students in modern science, technology and value systems. The major difference between madrassahs and regular schools is that the education imparted in madrassahs is not enough to qualify the students for employment in modern-day offices. 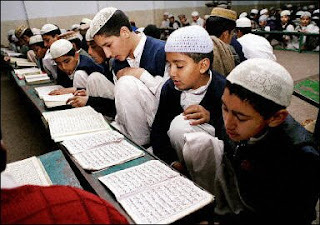 Recently, the Uttar Pradesh Board of Madarssah Education (UPBME) banned coeducation in madarssahs across the state, saying it was against the ‘spirit of Islam’. “In Islam, پردہ/pardah (veil) is very important. By allowing coeducation, we promote بے پردگی/'bE-pardagI' (women without veil), which is against '‎شريعة/Shari'at”, UPBME Chairman Haji Rizwan Haq said. Such actions will only hinder the modernisation of madrassahs and preclude the way to bringing them up to the modern educational standards. The genesis of madrassahs in south Asia is attributable to the Delhi Sultanate. The original purpose of the madrassah was to equip the youth for administrative services of the Sultanate. Since the decline and eventual cessation of Muslim rule in India, the graduates of madrassahs do not have job opportunities at places where the writ of the أمة‎/ummah doesn’t run, apart from a handful of madrassah graduates who continue their studies in departments of Islamics, Arabic or Urdu in some of the modern Indian universities. The more accomplished of these graduates from dual systems of education get absorbed in universities; the rest remain content with either teaching in the fast mushrooming madrassahs (government-aided or independent) or become religious heads (euphemised wrongly as إمام/imAms) of the equally fast growing mosques. Two of the famous Islamic institutions of India are "Dar-ul-Uloom, Deoband" and "Dar-ul-Uloom Nadwat-ul Ulama, Lucknow". The first has a comprehensive syllabus. It consists of 4 stages — primary, middle, high and specialisation courses. In the primary syllabus, students are taught Urdu/Hindi, geography, Arabic grammar and composition. The Nadwat-ul-Ulama of Lucknow also brought about certain far-reaching changes in the traditional curriculum of the قومی مدرسۃ/Qaumi Madrassahs (lit. “national schools" or "community schools”) of India, in response to the changed circumstances and needs of the time. The primary five years cover complete primary education as prescribed for general schools besides giving a sound religious base to its students. But there are many madrassahs which are not affiliated to these central boards; they give more importance to Islamic subjects, in some cases completely ignoring secular subjects. There is an absence of a centralised agency to exercise control on all madrassahs. Hence some madrassahs follow their own designated syllabus which is a hindrance for smooth functioning and standardising of quality education. There is a lack of modern teaching methodology in about all big and small madrassahs. In order to provide appropriate leadership and guidance, madrassahs must give particular stress to the learning of the English language, which at present is absent. In short, there is lack of ability in its alumni to cope with the challenges of modern world. Further, some experts also suggest that a small group of radicalised madrassahs, especially those located in border areas, promote extremist forms of Islam. According to the Task Force on Border Management, there are 905 mosques and 439 madrassahs along the India-Bangladesh border on the Indian side. A detailed Indian intelligence report issued some years ago claimed that some madrassahs were functioning as training grounds for anti-Indian elements. The report went on to suggest that مفتي‎/muftIs, مولوی/maulvIs and imAms in these schools may have been replaced by what it calls "highly fanatic agents of ISI", secretly working to disintegrate India. In May 2001, a ministerial group for the "reform of internal security" headed by the then Indian Home Minister LK Advani, released a 137-page report that recommended, among other measures, a close scrutiny of madrassahs. Under such circumstances, the decision to grant CBSE equivalence to madrassah graduation certificates is unwise. It appears to be a politically motivated step. Abdullah Khan in countercurrents.org writes: “Before this proposal is introduced, a lot needs to be done at the madrassah level to put it on a par with mainstream schools. An equivalent certificate could make madrassah students 'eligible' to apply for jobs, but will not ensure they get jobs in a competitive environment unless the curriculum is modernised. Because most of the madrassahs in India teach purely theological subjects and not modern subjects." Few have welcomed the present step, aiming as it does at enriching the Islamic heritage of India by mainstreaming Islamic studies. 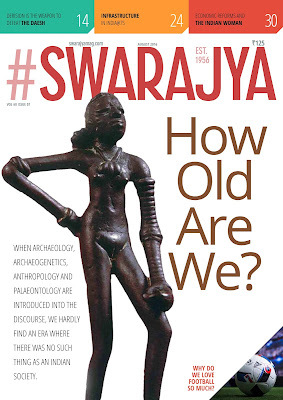 But why the government has not thought of supporting and encouraging ‘Hindu’ studies is a question that must be asked. Why is there no such step towards mainstreaming वैदिक पाठशाला/Vedic pAThshAlAs and Sanskrit pAThshAlAs? Why the traditional gurukula system has almost vanished? Instead of vote-bank politics, government should concentrate on improving the education system of India. It should make religion a compulsory subject in primary and high schools. Students may study any religion, if they want to. Hindu students can learn their own religion and culture and Muslim students can learn Islam; and both learn their respective theologies along with mathematics and science. The curricula may be designed in a manner such that at the primary level one can study one's own religion and in high school they can study comparative religions. Besides, religious schools of Hindus, Muslims, Christians, Sikhs and others can be instructed to have such curricula where, along with detailed religious studies, modern subjects are included. In this direction, modernisation of madrassahs is necessary to bring them on par with secular schools. Only after this can the madrassah and CBSE certificates be deemed equivalent. Further, such a provision should be provided for Vedic and Sanskrit pAThshAlAs too.